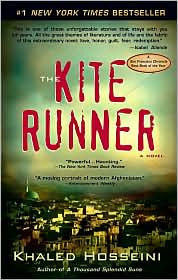 Matthew had to read The Kite Runner for school and he kept telling me how great it was. Very powerful and intense...I loved it, though I am paying the price today from staying up half the night reading it. There was a PTA board meeting this morning and while I love the people who are on the board with me, I really went for the muffins. The pumpkin chocolate chip muffins. From Costco. The ones I cannot buy because between Alex and I, we will eat every single one, and neither of us handles sugar very well. I've been trying to get everything in order around here since I'll be off my feet for awhile, so I've been ditching out on some things. Like PTA stuff. But this morning they bribed me with muffins, and I'm glad I went. For the people AND the muffins. I have spent the last few hours (days, actually) preparing for my tax meeting tomorrow. With M being a full time church worker, we get lots of tax benefits, that if you ask me about right now, I will tell you aren't worth it...so ask me after the meeting. We need to save EVERY receipt for EVERY household item we buy, from toilet paper on up. EVERY receipt. For the WHOLE year. I am actually very organized and have been doing it long enough that I have a pretty good system, but it is a pain to do...though stuck in the receipts was a gift card to Trader Joe's. Jackpot! Tonight we have a meeting at Brian's school...he's been selected to participate in a new program, so we get to go and hear what it is about before we make our decision. I was going to make pork chops (Italian style) for supper, but Matthew is gone and our meeting is at 6pm. I may have to rethink what I am cooking...then again, maybe not. Choices, choices!